Marine Air Conditioning units, Semi Truck HVAC, A/C Systems from KING-AIR, Cooling the World since 1947! equipment since Harry S. Truman was president of the United States! and surpass the expectations of even the most discerning customers. compact and self contained units available. old-fashioned value from a company with a long-standing reputation for excellence. volt. Our units are reverse cycle for heat and cool, or cooling only, with digital controls. KING-AIR units have the smallest dimension per BTU rating. KING-AIR will fit aboard! 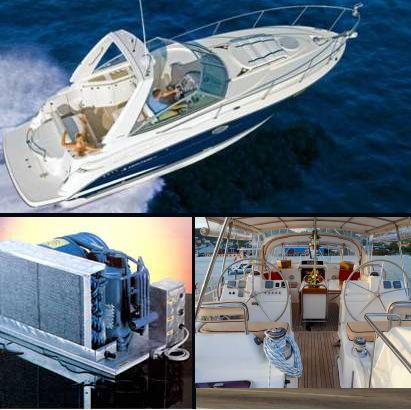 of A/C systems and HVAC equipment for all types and sizes of Boats.